Reuniting three of the stars of Universal's Dracula (released the previous year), this low budget production was, on the surface, a blatant attempt to capitalize on the a major Hollywood hit. 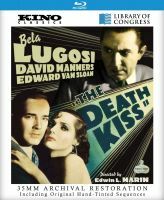 But THE DEATH KISS is anything but a cheap knock-off. A Pre-Code murder mystery that plays out on the soundstages, screening rooms, and dressing rooms of the fictitious Tonart Studios, the film offers modern viewers a precious glimpse at the workings oof a Poverty Row Studio during the Great Depression. 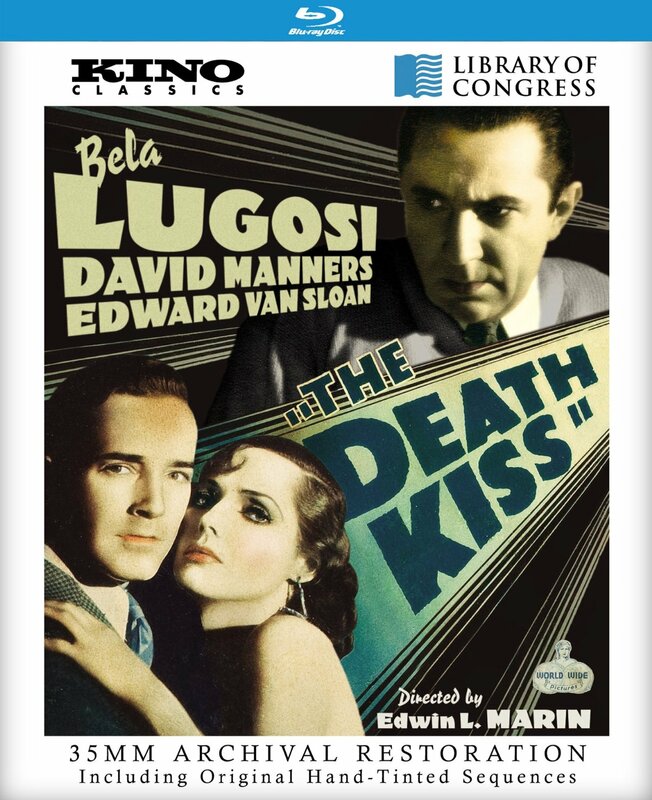 Bela Lugosi stars as the head of a struggling studio, who tries to contain a scandal after an actor is killed during the making of a film. While the police investigate the deepening mysteries within the studio, a quick-witted screenwriter (David Manners) decides to solve the crime himself, in order to clear the picture's leading lady (Adrienne Ames) from suspicion. 35mm Archival Restoration including original hand-tinted sequences. Cast: Bela Lugosi, David Manners, Adrienne Ames.